Nikkei: While Suzuki has been promoting the use of stereo cameras in 2015-2016, the company switched over to a monocular camera with an IR laser in its automatic braking system in the new Wagon R and Swift cars. The reason is said to be a high cost. The stereo camera based system cost was about $670. While it was 3 times cheaper that IR LiDAR system, it's still too expensive for a compact car. The Wagon R system is manufactured by Continental and costs about $525. The lower price was the reason for the design switch. "a monocular camera with an IR laser" - Is it ToF based? Actually it's a standard Cmos camera and separate Lidar system in a "one box" design. The picture of Conti's module looks very different from what we see in Sizuki car. Hi Vladimir. The picture in your blog is the "old" stereo camera. You can see the Conti system in the link you provided. OK. I see. 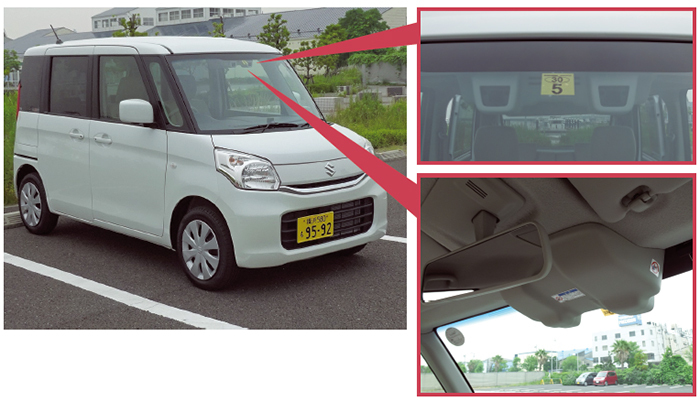 Actually, there are two photographs in the link - a yellow car and a white car. The yellow one looks like Conti. Both named "Wagon R".